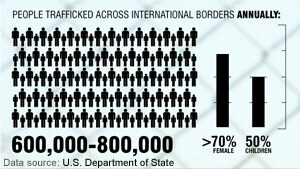 CNN and iReport is joining the #enditmovement to help shine a light on slavery. Join us by drawing a red X on your hand, window, wherever – be creative! 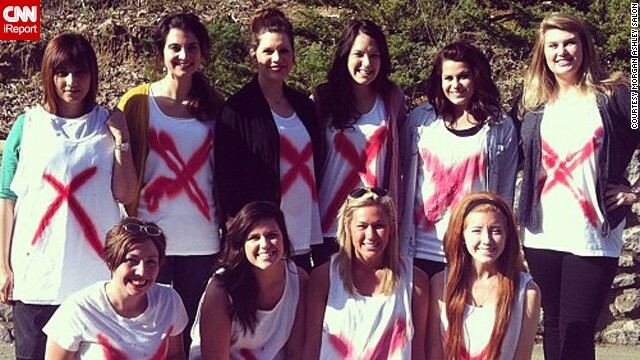 – and sharing your photos by tagging them #enditmovement. You can also send them to iReport here. We’ll share some of the best on CNN. You can find out more about the End It Movement here or watch this interview where actor-comedian Nick Cannon talks to CNN about the movement. Two Freedom Project iReport videos have been nominated for the annual iReport awards. South Korean teacher Sunny Yang pledged to "Take a stand against slavery" as part of CNN's Freedom Project and vowed to get her students involved in the cause. She used a stop-motion drawing to show the difference that we can make in the lives of people living in slavery. 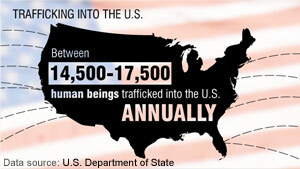 And iReporter Renee Hong created this video to draw attention to the problem of human trafficking. The video uses stop-motion photography and statistics to educate viewers in an entertaining way. In December, CNN visited a school for escaped slaves and their children in Mauritania, a West African country that was the last in the world to abolish slavery, and where an estimated 10% to 20% of people are still enslaved. There, in a small, concrete building surrounded by dusty streets, 30 women who escaped slavery are learning new skills - sewing, cooking, hair braiding - that they plan to use to start small businesses. Share your message of hope and include the phrase "Nahana maakum," which means "We are with you" in Hassaniya, the language these women speak. Get started on your iReport! Are you a slavery-free consumer? In today's world, it can be tough to determine whether products have or have not been produced through slavery. A specific component of a product – the cotton used to make a T-shirt, for example – may be the result of human trafficking. CNN iReport is inviting you to participate in a special assignment to identify items that you know are slavery-free. Was the exercise easy or surprisingly difficult? 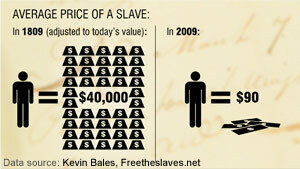 Do you make an effort to shop slavery-free, or is this the first time you've thought about where products come from? Upload photos of your slavery-free items and share your perspective with CNN. The best stories will be featured here on the Freedom Project blog. You can check out the iReport assignment for additional details. Want to find out more about slavery in the supply chain? Check out a brief overview or go to Anti-Slavery International's interactive map. 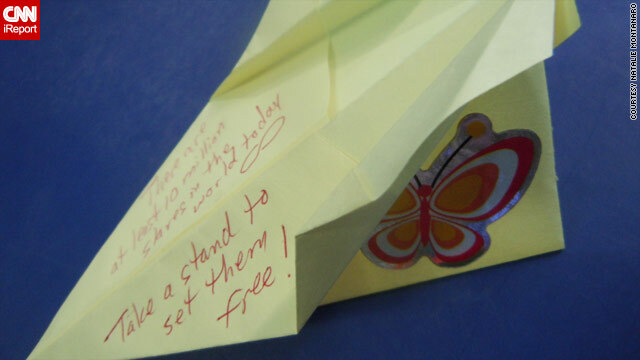 Late last month, we asked iReporters to help us spread the word about the global problem of human slavery by creating paper airplanes, the symbol of CNN’s Freedom Project. Though it may seem like a lighthearted assignment for such a serious subject, the planes offered the important opportunity to educate the world about slavery. Each plane included a hard-hitting statistic about the prevalence of slavery in today’s world and a personalized message of hope. After making – and flying – their planes, iReporters then passed them along to friends and family in hopes of spreading the word. So far, iReporters in 26 different countries, from Nigeria to Sweden to Indonesia, have created airplanes and passed them along. Although the planes are a symbolic statement, they are proof that many of you care about abolishing slavery and are committed to educating others about its prevalence worldwide. And while the response is impressive, we don’t want to stop there! CNN is taking an in-depth look at the Freedom Project all week and we want to continue spreading the word about slavery with the iReport community. We hope you’ll join the effort and create a paper airplane of your own. Together, we can make a difference. The Yeong Gwang Girls High School in South Korea has taken the pledge to help end slavery in the world. Elizabeth Pruitt, who teaches English at the school, read about CNN's Freedom Project and brought the issue to her students. Pruitt told iReport's Daphne Sashin in May that the issue of modern-day slavery was particularly relevant "for these students, since they are all young women, and so many of the victims of modern-day slavery are women and children." Check out iReporters who participated the Freedom Project iReport Challenge and took a stand against slavery. 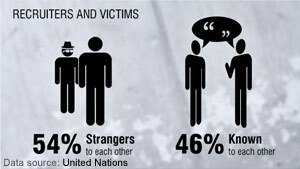 If you would like to take a stand against human trafficking, join CNN iReport and GOOD and submit a video of yourself saying "I'm taking a stand to end slavery" at iReport.com. When Illinois lawyer and mother Karen Riley Gilles saw a promo for The Freedom Project on CNN this spring, she saw a learning opportunity for the children in her mothers' group. She felt it was important for them to understand that oppression continues against kids who look just like them in other parts of the world. The boys and girls she talked to in her west suburban Chicago chapter of Jack and Jill of America, a national mothers’ organization, may have been young - 4, 5 and 7 - but they were old enough to have heard the word "slavery." "'I asked them if they knew the definition of slavery and it was no surprise that the first little girl to answer identified it as concerning the American slavery system of the 19th century," Gilles said. "I took several comments and added more definition before telling them that there are children today all over the world that are enslaved without any of the freedoms we enjoy." "My next question was, 'Do you want to take a stand and help?' They all said 'Yes.'" They took the iReport + GOOD challenge to take a stand to end slavery. Have you? If you're a parent or educator interested in talking to children about modern-day slavery and the CNN Freedom Project, check out these questions and learning activities to help children understand the crisis and steps that can be taken to end it.